What is there to say about Ireland that hasn’t already been captured in songs, movies, and books about the place? There’s something about a trip to Ireland that just calls to people, an almost supernatural pull to this magical place. There is no lack of places to visit in Ireland; the countryside is packed with natural beauty and small-town charm, and the cities are lively modern hubs of culture that somehow manage to keep that quintessential Irish spirit. Dublin, the capital of the Republic of Ireland, has no shortage of things to do, and pubs to stop in at and listen to live music while you sip on a pint. The Irish countryside is an outdoor adventurer’s paradise, with hiking trails across green hills and mountain biking along picturesque paths. 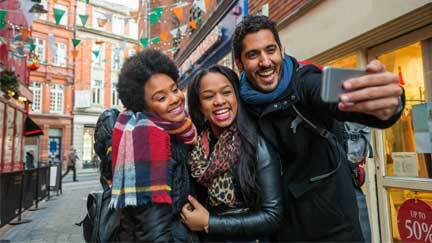 Use our Ireland travel guide to take you across the Emerald Isle. They speak English in Ireland, but on top of that, however, you’ll see signage in Gaelic. Also known as Irish, it’s the second national language. Irish students learn gaelic in school from a young age. Most people can read and write it, but they very rarely speak it. It bleeds into their slang, though, so if someone says “craic” they actually mean “fun.” Usually a local will enthusiastically tell you what their gaelic slang means, and probably teach you a few gaelic curses. The Irish have been using the euro (€) as their currency since 2002, but Northern Ireland uses a separate currency, the Pound Sterling. Be aware when you’re traveling between the two; you need to change your currency. Tipping when you visit Ireland isn’t as serious as it is in the US, but it’s getting more prevalent. For sit down service at a restaurant, you can tip 10% to 15% for good service. 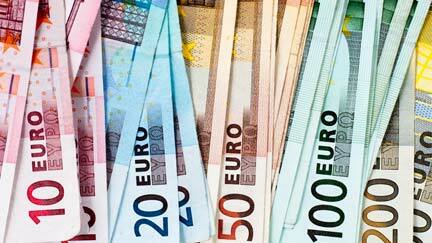 A bartender won’t expect a tip, but rounding up to a whole euro is appreciated. Ireland tourism isn’t centered around cuisine like other european locales, unless you count Guinness as cuisine, and we absolutely do. While Ireland might not be as legendary for food as France, it’s still the home of some hearty and delicious comfort food. Stews and fresh breads are everywhere, and because Ireland is surrounded by the ocean there is a massive amount of fresh shellfish. For a quick bite on the go, you’ll find fish and chips take-away everywhere. In Ireland, free WiFi places are cafes, coffee shops, restaurants, and hotels. Outside of these places, you might have to get a WiFi device, renting it for your trip for a fee. You’ll get away with not paying for WiFi, but if you have it it’ll make your life a lot easier. The countryside isn’t going to have many free hotspots, so be aware of that. You’ll need an outlet adapter to plug in your devices, too, so grab one of those before you head out on your Ireland adventure. Ireland is an incredibly welcoming place, and doesn’t have too many cultural toes for travellers to accidentally step on. A few things you might notice; if an Irish local likes you they’ll tease you, it’s a sign of being welcome. Swearing is seen as less offensive in Ireland, so don’t clutch your pearls if someone mixes in some cursing when they talk. Also, businesses could use 24-hour time to show their hours, don’t get confused when a shop says it closes at 18:00. Your summer break will be your best bet to travel Ireland in the best weather. From May to September trips to Ireland are pretty perfect; mild temperatures, less rain than other times. It does get crowded in July and August, and a lot of the more touristy spots will be packed because everyone is trying to experience the beauty of Ireland during the few warm sunny days they have. That’s not to say you won’t have some grey and rainy days, even in summer time. Ireland is a wet place, and showers happen regularly. Winter is cold and very rainy, so traveling around the countryside at that time can be a little rougher; there is so much to see outdoors, but the weather can be a deterrent to getting out there and exploring. Start planning by checking out cheap summer flights. When you travel Ireland, you realize the cities have their charm, as seen in these travel tips for Dublin. But the real allure is in the countryside. The natural wonder there is unlike anywhere else in the world. Cliffs carved by wind and water rise along the coasts, and hills are topped with monolithic stones. Home of that mythical “Blarney stone” that blesses anyone that kisses it with the gift of gab, Blarney Castle could easily be a tourist trap. Instead it’s one of the most charming castles in Ireland. Get there early, avoid the lines. These cliffs were called the “Cliffs of Insanity” in The Princess Bride for a reason; the views are completely mental. This natural wonder majestically rising out of the ocean is one of the coolest things to see in Ireland. Once you drink a Guinness in Ireland every other beer after won’t compare. If you’re going to drink a pint of “the Black Stuff,” go to the source; the Guinness Storehouse in Dublin, and learn how to pull the perfect pint. This is the oldest pub in the world; it was built in the 12th century, where historians assume medieval knights went there to kick back. Most days of the week they have authentic irish bands playing late into the night. This 100+ mile long road loops around Kerry and shows travellers beautiful scenery. If you take a bus tour, you’ll go counterclockwise along the road. If you have a car, drive clockwise so you don’t get stuck behind a tour group. An island off the coast near Kerry, Skellig Michael used to be the home of monks in the middle ages. Now it’s home to the final scene in the new Star Wars movie, where we get to see Luke Skywalker. Also, it’s the home of some puffins. Irish cities can be sprawling and modern, but somehow feel like tight-knit small towns with historic charm. People go out of their way to strike up friendly conversations with everyone, especially tourists, and will loudly and proudly tell you where they think you should go for a bite to eat or something to drink. Listen up; locals often have the best advice. Ireland tourism usually starts in Dublin, and for really good reason. 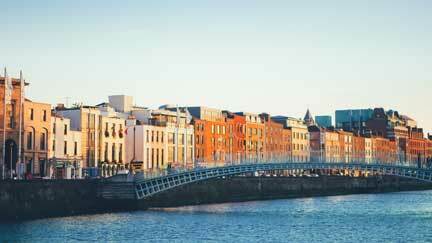 Dublin is the urban heart of Ireland, with all the Irish charm and modern happenings. This is the home of Trinity College, the St. James’ Gate Brewery, and St. Patrick’s Cathedral. Take a walk in the sprawling and beautiful Phoenix Park, and after grab a pint in one of the many historic pubs. A small and picturesque seaside city, Galway has an inviting cafe on every corner and a pub on every street. It’s truly a walking city, and you can get everywhere without ever pulling out your phone to call an Uber. Galway also has an amazing live music scene, featuring both traditional irish music and contemporary artists that stop in the southern irish city. 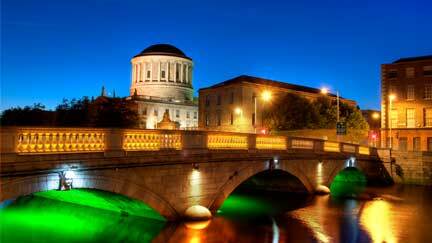 Ireland’s third largest city wraps around the banks of the River Lee, criss-crossing it with bridges. 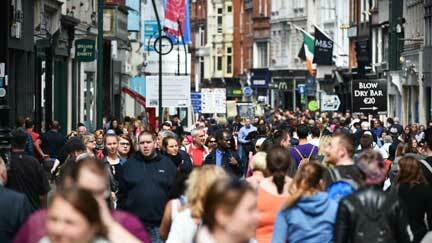 Take a walk down St. Patrick’s Street and take in the local shops and pubs. It’s a great hub for some southern Ireland adventure, you’re only a train ride away from places like Cobh, a beautiful seaside town and the infamous last port for the RMS TItanic. If you want to see stunning views of the scenic Irish landscape, you go to Killarney. It’s just that simple, really. Killarney is the place to be if you want to explore the natural side of Ireland; pack some hiking shoes, rent some bikes, and get outside. This is the closest city to places like the Cliffs of Moher, so be prepared to see some once-in-a-lifetime views. The capital of Northern Ireland, Belfast and the surrounding area are technically part of the UK. This city has great adventure spots nearby; the awe-inspiring scenery of the Giant’s Causeway, a massive rock formation that looks like another world, and the Carrick-a-Rede Rope Bridge, a heart-stopping walk across a rope bridge that hangs 100 feet above the ocean. Though I can’t guarantee you’ll find a pot of gold when you visit Ireland, I can almost certainly guarantee you will find joy, good times, happiness, beautiful scenery, a charming culture, and a vibrant nightlife. 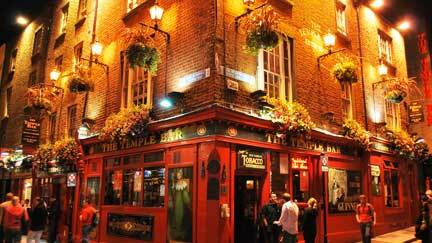 Home to the world-famous Guinness Brewery, the city of Dublin knows a thing or two about pubs. 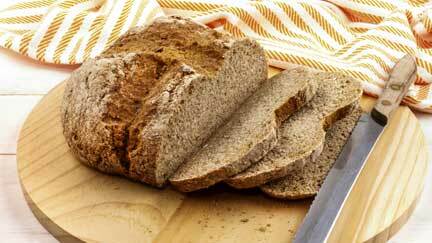 You won’t be able to wander down one of the main streets without stumbling upon a traditional or modern Irish. Does the idea of living and working in Ireland set you into an immediate daydream? You can intensify your resume and your work experience with an unforgettable opportunity working abroad in Ireland this year. This was hard. Possibly the hardest list we’ve had to compile here at StudentUniverse. Just picking the top three pubs in Ireland is an insane task, because almost everywhere you turn there’s a place with incredible food, fresh Guinness, and loaded to the rafters with charm. 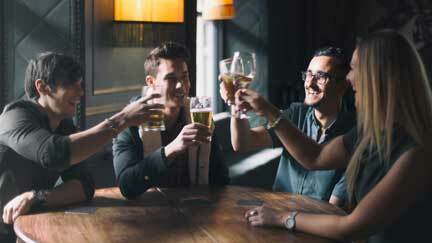 Grab a snug (one of those walled off booths) with your friends or belly up to the bar with the locals, and enjoy. The Celt, Dublin Dublin is full of pubs, but this is the best one to grab a drink in and also catch traditional Irish folk music. Every night there’s a live band playing in this tiny rough-and-tumble pub. They even serve shockingly great food. This isn’t a place to unwind after a long day, this pub is made for clinking glasses with locals and singing along to songs you just learned. O’Loclainn’s, Ballyvaughan Located way off the beaten track, there’s a small town in the Burren called Ballyvaughan. In this small town there’s an even smaller pub with a not-so-small reputation for being warm, welcoming, and full of irish whiskey. O’Loclainn’s Pub is a local legend, and by the time you leave you’ll know the owners by first name. Bonus; you’ll be in the picturesque Burren. O'Connell's Pub, Galway This pub is incredible for a hundred reasons, so we’ll try and fit as many in here as we can. The incredible atmosphere, with stained-glass windows and beer garden in the back. The best places in Galway to catch a football match. The location at the center of Galway means it’s easy to duck in for a pint while exploring. We could go on, but we’re getting thirsty.